I've been fairly open-minded when watching Rodrigo García's films, mostly because of the wonderful performances he elicited from actors both veteran (Gabriel Byrne) and new (Mia Wasikowska) when he helmed nearly half the first season of the late, lamented In Treatment, a series he developed. But, in all honesty, his film work so far (Mother and Child) has always leaned to the more cloying side of melodrama. Albert Nobbs is no different, except that its period setting (19th century Dublin) offers a welcome layer of remoteness. 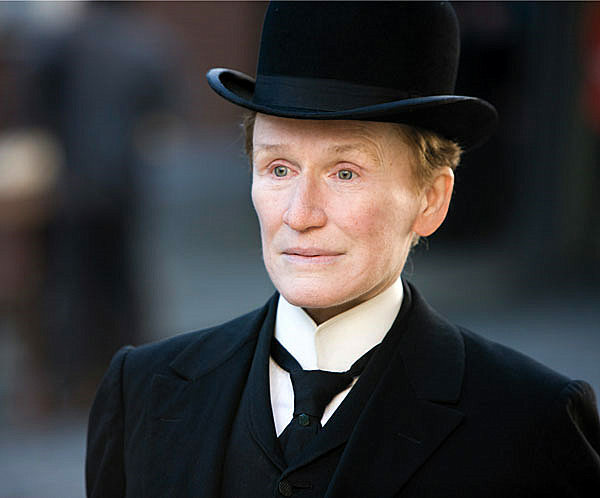 It mitigates some of the more problematic emotionality that emerges from the story of Mr. Nobbs (Glenn Close), a servant who turns out to be a female living as a male after some early sexual trauma. Though a large part of the tale unfolds in a rather predictable manner—Nobbs pines for one of his coworkers, a foolish young pretty thing played by Wasikowska (who prefers the resident stud instead)—Close is at the peak of her ability in her endearing portrayal of this "peculiar, little man." Another great performance is Janet McTeer's as a kindred spirit Nobbs unexpectedly encounters. Brilliantly acted by Meryl Streep, the otherwise inept The Iron Lady depicts former British Prime Minister Margaret Thatcher in her waning days. Stubborness and senility are a difficult combination for Thatcher's daughter (Olivia Colman) and aides to contend with, which would make for an interesting story in itself. But the movie's use of Thatcher's late husband, Denis (Jim Broadbent), as a plot device—a sort of hallucinatory manifestation of Thatcher's id and entryway into various flashbacks—is quite ridiculous. In many ways, The Iron Lady shares many of the same elements of another recent biopic, Clint Eastwood's J. Edgar. However where the nonlinear structure of Eastwood's film illuminates Hoover and overcomes many of the issues with the film's weak makeup effects, The Iron Lady does just the opposite. 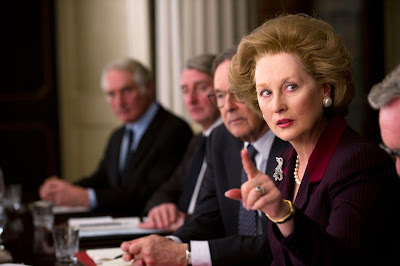 Far from the leftist critique I expected, The Iron Lady's structure begs the viewer to sympathize with Thatcher, making the film play more like an apologia for the often obstinate leader. Streep's excellent makeup and performance are simply not sufficient to give any substance to the elliptical flashbacks, with The Iron Lady playing instead as a lifeless Cliff's Notes version of someone who remains one of the most fascinating and controversial figures of our lifetime. Like Mitt Romney in New Hampshire, it seems like Steven Spielberg's underrated War Horse is being attacked, surprisingly, by the very people who should be celebrating its best qualities. "Emotionally manipulative," "corny." These accusations are only some of the most redundant ones being lodged against it by other classic movie lovers who willfully refuse to cut Spielberg a break for stretching past his comfort zone (or leaning into it, some may say) to mimic the earnest war movies he probably grew up watching with his dad. 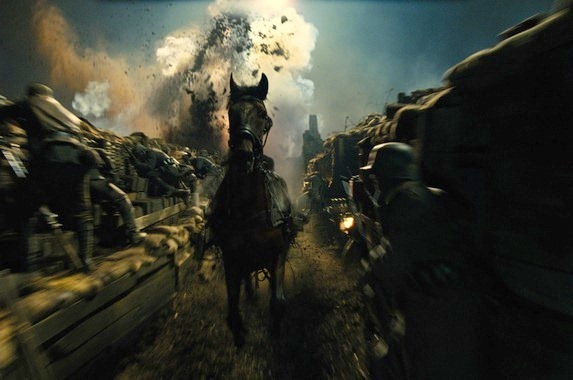 Its focus on one particular horse, Joey (who is passed from owner to owner on both sides of the battlefield in World War I) allows us to experience the horrors and nobility of war with a more dispassionate eye than a human protagonist might bring to it. This allows Spielberg to pour on the schmaltz (and I don't mean that as an insult) with little reluctance, confident that the viewer will project his own feelings onto the tabula rasa that is Joey. Lush images by Janusz Kamiński and notable turns by Benedict Cumberbatch (Tinker, Tailor, Soldier, Spy), Tom Hiddleston (Thor), Peter Mullan (Tyrannosaur), David Thewlis (Naked) and Emily Watson (Breaking the Waves) open the story wider than its Tony-award-winning namesake could ever do. The chilling We Need to Talk About Kevin goes deeper into the psychology of a budding spree killer than even the excellent Elephant (2003) does. 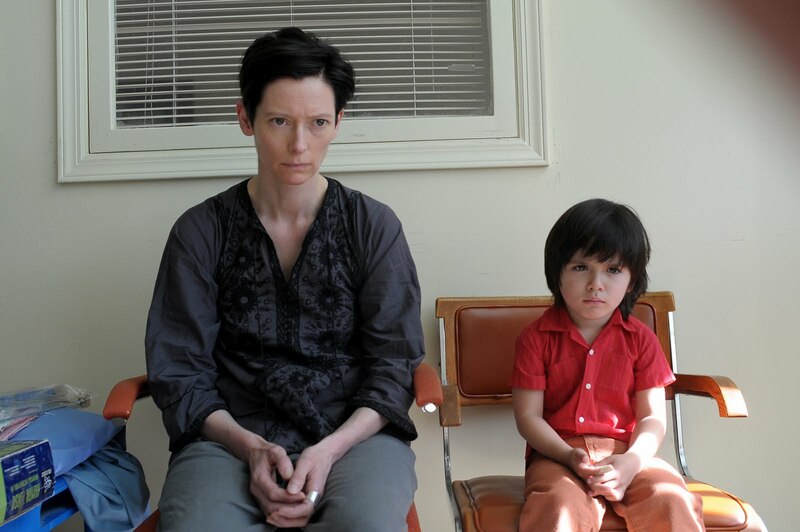 Director Lynne Ramsay cuts back and forth between the formative years of Kevin (Ezra Miller), the dead-eyed title character, and the present circumstances of his bewildered mother, Eva (Tilda Swinton), to try to ferret out the truth about the environment in which Kevin was shaped. As someone who's been trumpeting Kirsten Dunst's performance in Melancholia as the one to beat this year, I can assure you that Swinton's is the new high-water mark. Despite the young Miller's effective portrayal of a surly teenager (surely most kids his age give their parents just as much grief, don't they) who may or may not be a sociopath, it is Swinton and the harrowing purgatory of loneliness she subjects herself to that you'll be haunted by long after you watch this movie. Ramsay's judicious use of the color red in even the most innocuous of ways serves as a constant reminder of the eternal horror Eva must live with in not knowing whether her parenting skills contributed to the incubation of a killer. Close, Dunst, Streep, Swinton, and now Charlize Theron. As one can see, 2011 shaped up to be quite a year for actresses. Young Adult is the follow-up to Diablo Cody and Jason Reitman's Juno, 2007 Oscar-winner for Cody's original screenplay. Refreshingly less concerned with the snarky dialogue Cody has become known for, the filmmakers have instead created a memorable character in Mavis Gary (Theron), a ghost writer of a series of failing teen novels who returns to her hometown to disrupt the life of her high-school boyfriend (Patrick Wilson) after finding out he and his wife (Elizabeth Reaser) just had a baby. Patton Oswalt plays a Jiminy Cricket-like former classmate. Theron is brilliant as a narcissistic, sarcastic grump made even more distasteful by the fact that she is self aware enough to realize how driven she is by her selfish motives. Too bad that Young Adult represents the kind of smaller indie that usually gets lost in the shuffle among the big Oscar-bait at this time of the year. Theron's quirky performance would have stood a better chance of winning awards if Young Adult had played longer in theaters and grown its cult audience. 'The Artist' is a fine, cute, feel-good film with nice performances and likable characters. 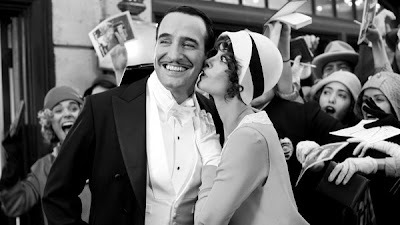 I'm not sure it's deserving of all the awards attention it's getting because the film isn't profound or has much of a theme other than it's playful silent film concept. As for 'Young Adult', it's better than the regrettable and atrociously bad 'Jennifer's Body' and the overrated 'Juno'. I liked the film up until the end where I felt it went from a compassionate look at messed up characters to a shallow and hopeless attack of its own main character.